Driving faster than 100 miles an hour is not only breaking the speed limit in New Hampshire, it is now classified as reckless driving. And a driver pulled over going that fast will likely face a hefty fine and mandatory loss of license. The state house and senate recently passed SB 246 making driving a vehicle at a speed of 100 miles per hour or greater reckless driving. It was a bill that the department of safety requested and went to the full house and senate tagged “ought to pass” with bipartisan support. 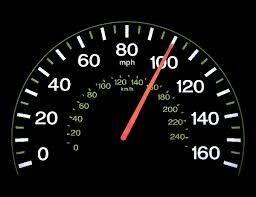 In NH, Reckless driving is much more serious than a standard speeding ticket. A reckless driving fine is at least $500 and includes a 60-day license revocation. Additionally, a second offense results in a $750 fine and a loss of license between 60 days and one (1) full year. Because of the manner in which reckless driving is classified, a convicted driver receives six demerit points on their motor vehicle record. These points stay on a driver’s record for five years. Receiving demerit points can also result in higher automobile insurance rates. It can also lead to being classified as a habitual offender, which could result in a jail sentence. Being reckless is defined in RSA 626:2, II(c) as being aware of and consciously disregarding a substantial and unjustifiable risk will result from one’s actions. Further, based on RSA 265:79, reckless driving includes driving that would puts the lives or safety of the public in danger. It can include a bet, wager, or race, or someone who is trying to set a record. Before this law passed, the punishment for going 100 miles an hour or more varied from court to court and judge to judge. With the new law change, all drivers face the same minimum punishments. According to statistics from the New Hampshire State Police, in 2012, nine percent of drivers stopped for speeding were going more than 90 miles an hour. In an article in the Eagle Tribune, N.H. State Police Capt. John LeLacheur is quoted as saying that troopers stop at least one driver a month for driving 120 miles per hour or more. He said troopers are stopping drivers daily for driving between 90 and 100 miles per hour. If you are charged with reckless driving, the State prosecutor bears the burden of proving that you, as the driver, was aware that your actions could cause substantial harm and you were indifferent to that risk. It is important to have an experienced reckless driving defense attorney by your side during these cases, as a conviction can have severe consequences on your license and your life. Based on the text of the bill, the law will take effect in mid-July. If you are facing a reckless driving charge in NH, contact Tenn And Tenn, P.A. to discuss your case. Call (603) 624-3700 or fill out our online contact form to schedule a consultation with a NH criminal defense attorney from Tenn And Tenn, P.A.